We did it. We reached escape velocity. We dreamt and we saved, we planned and we plotted, we worked and worked and as today drew closer it felt like it was coming ever more quickly. For two odd years since our last trip Emma has looked over at me from the couch of an evening and said, ‘oh can we go yet’. 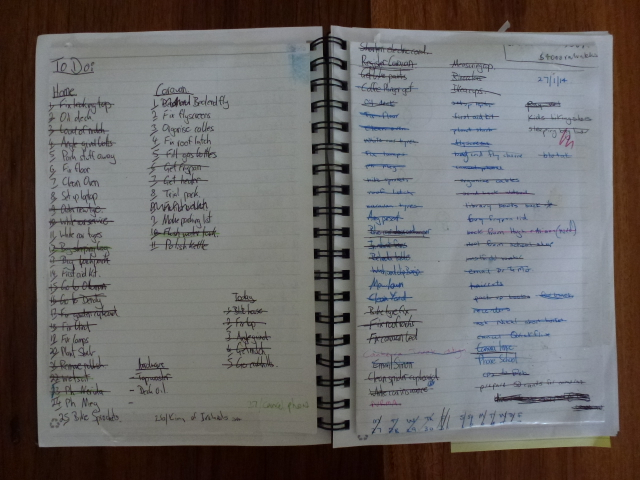 Last night, feeling a little overwhelmed with the number of things still on the ‘to do’ list she turned and said, ‘can we go next week!’. No we can’t. It’s today, it’s today and we are off and on our way. Canberra’s gravitational pull has been overcome. The house was spotless and Rach and Josh were already moving in. Belinda and Jase have taken custody of the mighty Festiva. Our jobs aren’t expecting us back any time soon and we have bid farewell to so many good friends. Banjo (our spaniel) plucked hard on my heart strings as we walked out the door, but not even he could overcome the inertia behind our journey. 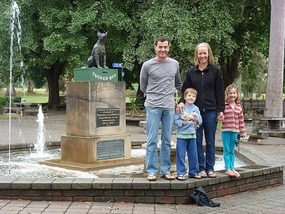 Curiously the dog on the tucker box at Gundagai has bookended our travels. On the last day of our last big trip we stopped in and took a photo. And today, on the first day of this trip we did our best to set the same photo up all over again. Amy and Oliver are noticeably bigger. Emma’s hair is shorter and mine is longer. It has been a scorcher though. Over forty degrees for most of our drive and the engine felt it on the hills. On one bit of tarmac I could hear the road going snap crackle and pop under the tyres as we rolled along. Too hot for a free camp as well. 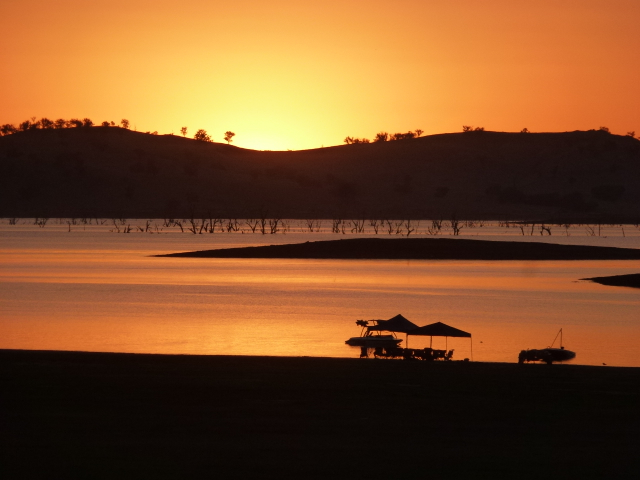 So here we sit nestled on the shore of Lake Hume, the sun is setting across the water and we are reclining on the grassy slopes. Its good to be on the road again. 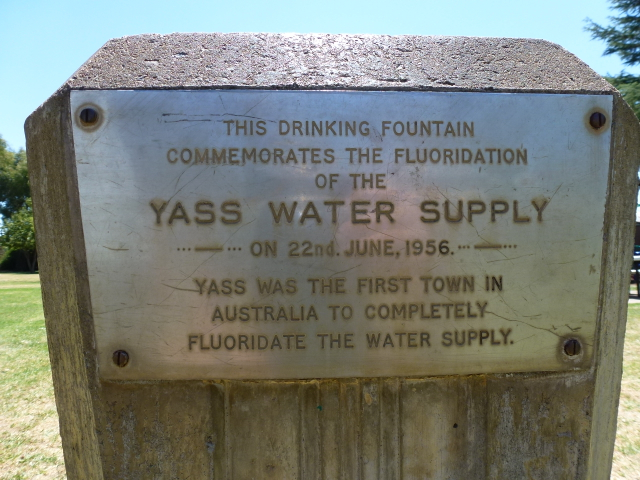 By the way did you know… that Yass was the first town in Australia to completely fluoridate its water? I know, who would have thought. Pretty special. So special in fact they commemorate it on the town park drinking fountain. The things you learn. That is definitely a Greg job! I know, I know I’m very lucky! Love the comparison pic guys!